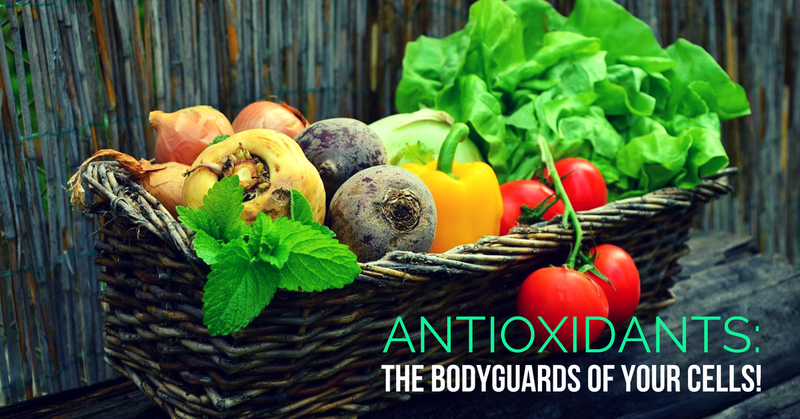 It is a condition that results when your body does not have enough antioxidants to counter free radicals in your body. Free radicals are unstable molecules that has atoms with electrons that are not in pairs. Electrons love to stay in pairs. They go looking for electrons and steal them from nearby atoms. This process spreads like a chain reaction all over the body, and in no time your body is filled with atoms without paired electrons. This leads to cell damage, cell death, fatigue, and accelerated ageing. 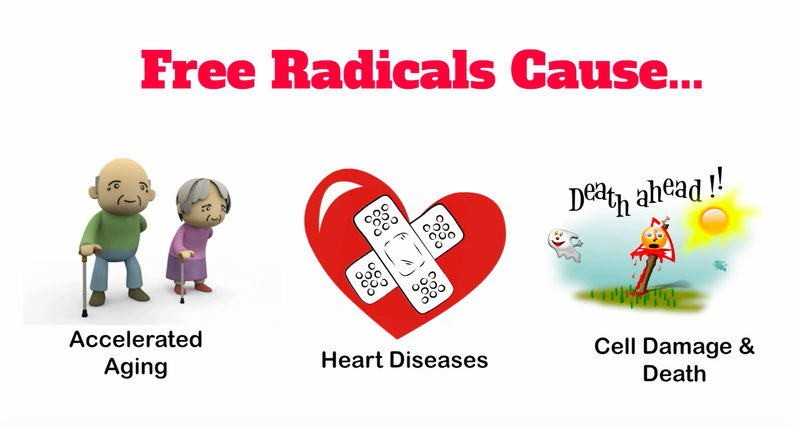 Free radicals are associated with diseases such as cancer, atherosclerosis, Alzheimer's disease, Parkinson's disease and among others. 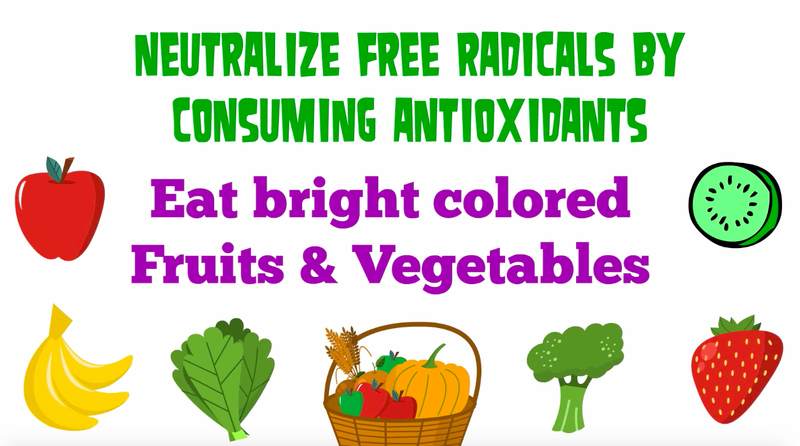 Basically, free radicals can be seen as waste products from various chemical reactions in the cell that, when built up, harm the cells of your body. Sources of free radicals can be found right from the food we eat, the air we breathe, the medicines we take, and the water we drink. They include fried foods, alcohol, tobacco smoke, pesticides and air pollutants. 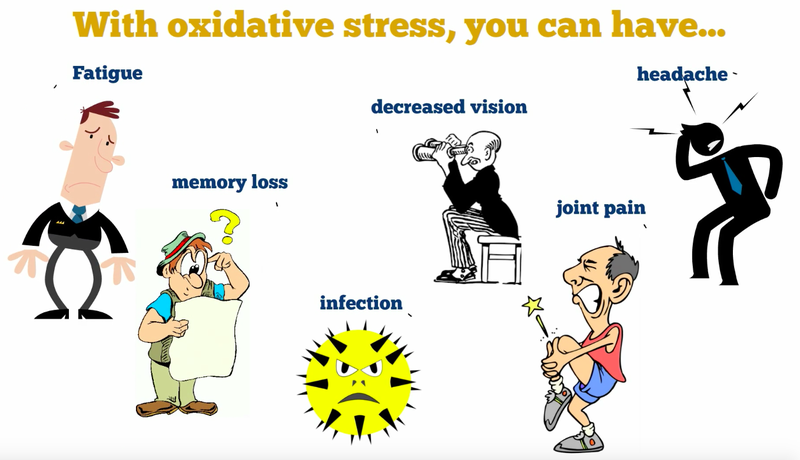 Here are a few signs that you could look for when oxidative stress occurs in your body - fatigue, headaches, noise sensitivity, memory loss and brain fog, muscle and joint pain, wrinkles and grey hair, decreased eyesight, and susceptibility to infection. Also, your body is a well-oiled machine well into your 20’s with respect to antioxidant production. During this stage of your life, free radicals don’t stand a chance against natural disease, but as you grow older, your antioxidant system slows down and you have increasingly harder time fighting free radicals. As a result, your body begins an accelerated ageing process. The only way you can neutralise those free radicals is by consuming antioxidants in the form of fruits & vegetables. 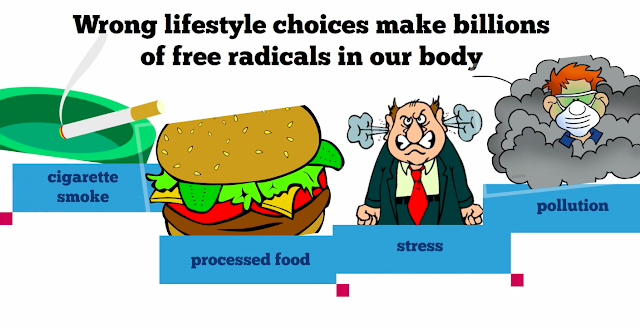 Antioxidants are molecules in cells that prevent free radicals from taking electrons and causing damage. They are basically atoms in the body that donate electrons to free radicals to behave nicely before they attack healthy cells. Limit your consumption of processed foods, alcohol, quit smoking (if you do), exercise less strenuously, eat bright coloured fruits and vegetables and you are well on your way. Remember, the difference between who you are and who you want to be is what you do NOW!